“nadai namanama!” said sarawakians on the allah issue – welcome! remember in my selangau trip report here and here, i mentioned about interviewing some of the natives there on the allah issue? most of them respond with “nadai namanama!” – that is, in the iban language, “no problem!”. yes, to the sarawakians, christians and muslim alike, to them there’s no problem at all regarding the allah issue, that’s why they can’t understand the hoo-haa it created in peninsular malaysia. i wrote about the interview and sent it to UCAN and it was published yesterday (with a little editing help). i copy in full the article here but i added in photos of some of these people mentioned (mouse over to see their names). a few of them refused to have their photos taken. ‘ Allah’ furore leaves Sarawak village puzzled. 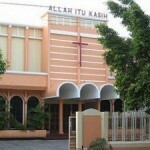 SELANGGAU, Malaysia (UCAN) — Christians and Muslims in Sarawak are puzzled by the controversy over the use of “Allah” for God. The word has been in use for centuries in the area and has never been an issue. “We were using ‘Allah’ as far back as the 17th century,” says James Jang, a parishioner of St. Charles Church in Selanggau, central Sarawak. The main language in the area is Iban, which is related to Malay, and is used during Mass. The word “Allah” features frequently. “Even with all the fuss on the peninsula, we Muslims and Christians here still see no problem … at all,” Ata Ngaden, 67, another parishioner, told UCA News. Last week, government minister Nazri Aziz suggested that the word “Allah” could be limited to the use of Christians only in the eastern states of S abah and Sarawak. The proposal was given short shrift by Christians across the country. 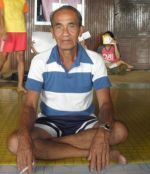 Segiong Radi, 56, from Selanggau, cannot see why it should not be used everywhere. He said the community in the interior of the state had been using “Allah” to refer to God “for a long time.” He said there was no opposition from local Muslims at all and he wondered why there is such a fuss over the issue in western (peninsular) Malaysia. Kalsum Daud, 43, a local Muslim, said she has no problem with Christians using the word “Allah.” She said there is no tension between Christians and Muslims in the town. Even though there is a Christian majority, she was able to open a coffee shop for Muslims serving only halal food next to a Christian-owned cafe. Robert Nanta Kasi, St. Charles parish council chairperson, said “Allah” was used in catechism books and Bibles, which are all in Malay, and no local Muslim had ever complained. 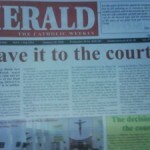 The controversy was ignited by a court ruling allowing the national Catholic weekly “Herald” to use the word. The government reasons that Muslims could be confused by the use of the word by Christians. Nanta says the position is ironic, given the government is encouraging wider use of the national language. 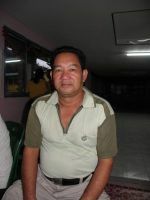 Ulin Naga, a Methodis t laborer, also questions the government’s reasons for the ban, asking how one strong enough in his or her own faith could be confused. “If a Muslim is confused, it is either he is not confident of his faith at all or he is an extremist. But over here in Selanggau, no Muslim is like that. To us Muslims, the issue of Christians using Allah is ‘nadai namanama’ (‘no problem’),” she says.